Footballers Direct heard yesterday that David Beckham is to retire from football after 20 years of being considered one of the world’s best players. Recent rumours had suggested that Beckham would be continuing in the game after an offer from Paris Saint-Germain but it has come to light this week that he has decided against the move. “I’m thankful to PSG for giving me the opportunity to continue but I feel now is the right time to finish my career, playing at the highest level,” he is reported to have said. We’re sure it is with some sadness that Beckham leaves the game behind him but not many players can look back on the kind of career that he has enjoyed. With his first team Manchester United he won the Premier League title six times, the FA Cup twice and the UEFA Champions league. During his career he also spent four seasons with Real Madrid, two loan spells with AC Milan and was England captain for six years. As he says goodbye to professional football the 38-year-old still holds England’s record for making the most appearances for the national team as an outfield player – 115 in total. “If you had told me as a young boy I would have played for and won trophies with my boyhood club Manchester United, proudly captained and played for my country over one hundred times and lined up for some of the biggest clubs in the world, I would have told you it was a fantasy. I’m fortunate to have realised those dreams,” he is quoted in The Guardian. 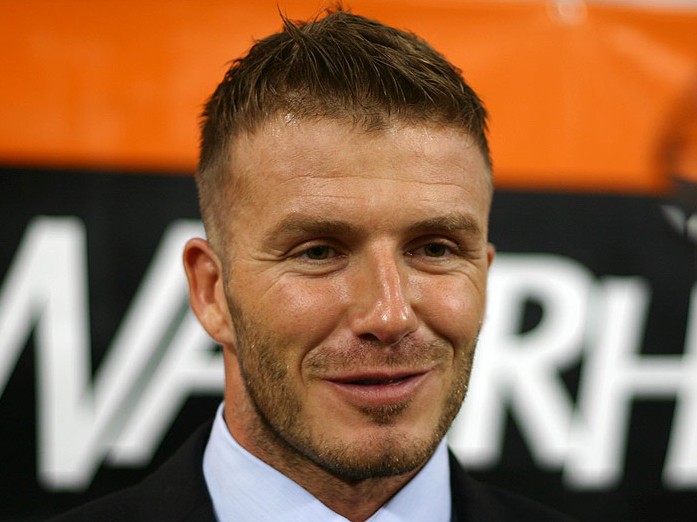 So, what should we expect to hear from Beckham in future?